Benson came from academia background with strong research interests in formalizing advanced cyber operations, malware analysis, secure coding, and intelligence mining. 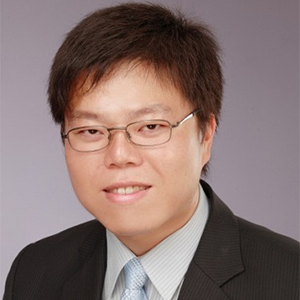 He got graduated from National Taiwan University with PhD in Electrical Engineering and National Chiao-Tung University with MS in Computer Science. He held ECSP, CEI, CSSLP certifications. Benson had given talks at DEFCON (2011, 2010), NIST SATE 2009, OWASP China 2010, Botnets of Taiwan 2011, Hacks in Taiwan (2012, 2011), AVTokyo 2011 and SyScan 2011. He is also the author of the several government security guidelines for the Taiwanese government since year 2007. In the past ten years, Benson had served at Network Benchmarking Lab (NBL) testing commercial cyber security solution; at Institution for Information Industry (III) implementing all-in-one security gateway; at National Information and Communication Security Taskforce (NICST) as member of think-tank for infosec; at Armorize Technologies, as Director of Engineering for source code analysis and drive-by downloads detection; at Academia Sinica focusing on APT research. Few years ago he co-founded Xecure Lab with Jeremy Chiu, launching the world first DNA-based reversing detection engine for malware analysis and offering a suite of APT countermeasures -visualizing APT risks, determining APT codes, and responding to APT incidents.